Can Fish Oil Cause Diarrhea? 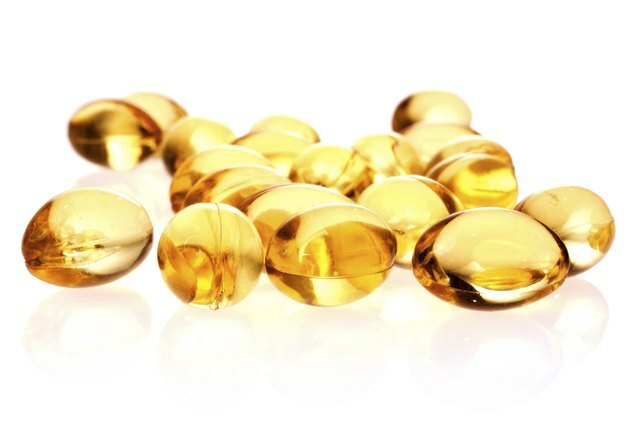 Fish oil supplements are full of fats -- the good kind. In particular, fish oil is rich in omega-3 fatty acids, which is a highly beneficial polyunsaturated fat. Omega-3s are linked to reduced inflammation, lower risk of heart disease and cancer, and even improved cognitive function, the University of Maryland Medical Center explains. Clearly fish oil is something you want to add to your diet to reap all the benefits, but the downside is that the fatty supplement may cause digestive upset. Fish oil is basically a concentrated form of fat. Consuming a high amount of fat in a short period can disrupt your digestive tract, leaving you with gas, bloating and possibly diarrhea as your body attempts to deal with the fatty overload. Your system might get used to the fish oil so you stop having episodes of diarrhea, but if you continue to experience loose, watery stools for more than a day or two, it's time to visit your doctor. Consider taking smaller doses. The maximum safe dosage of omega-3 fatty acids from capsules, according to the University of Maryland Medical Center, is 3 grams a day. If the dosage you're taking is close to this amount, for example, take only half a dose instead. Take the rest later on in the day, if tolerated. The smaller doses should be easier for your bowels to handle, lessening the uncomfortable gastrointestinal side effects you experience. You might be able to minimize the incidence of diarrhea you experience from fish oil supplements. Rather than taking oil by the spoonful or a basic fish oil capsule, look for a brand that is a time-release preparation. These encapsulated formulas don't start breaking down until they reach your small intestine and are designed to break down gradually, minimizing gastrointestinal irritation. If diarrhea persists after you take fish oil no matter what you do, you could be allergic to it. Hives, stomach pain, a runny nose, sneezing, coughing and dry, itchy rashes are some of the symptoms of a mild allergic reaction. Difficulty breathing, swelling, a weak pulse and problems swallowing are more severe symptoms. Since allergies can be life-threatening, get medical treatment right away. Let your doctor know about any negative side effects you have from fish oil and take the bottle in for him to look at. He can run an allergen test to see exactly what -- if anything -- you're allergic to.